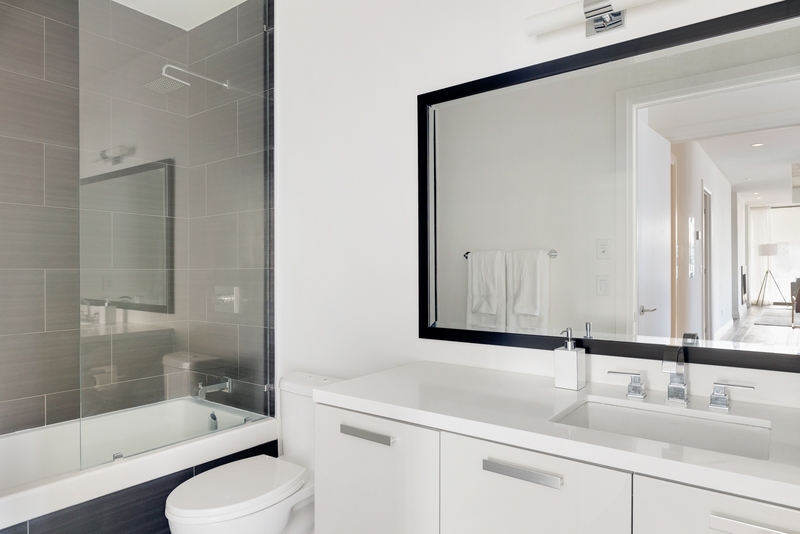 Bed: Two + Office • Bath: Three Full • 2,480 Sq.Ft. 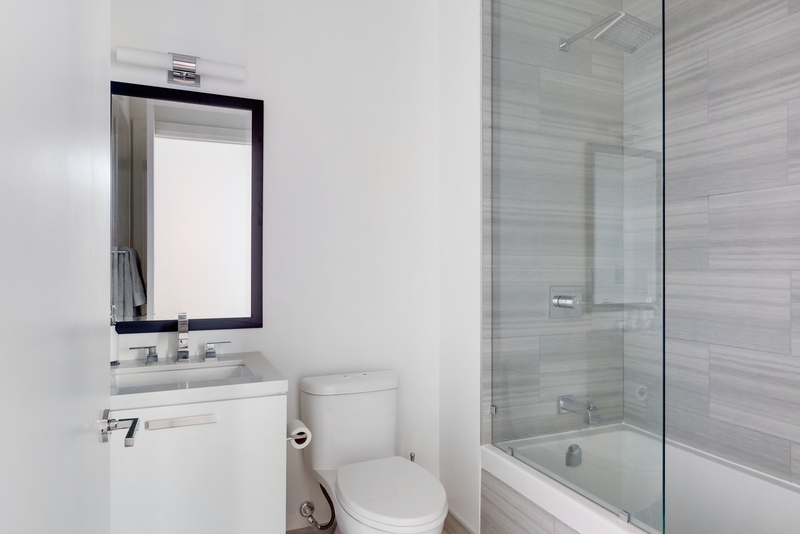 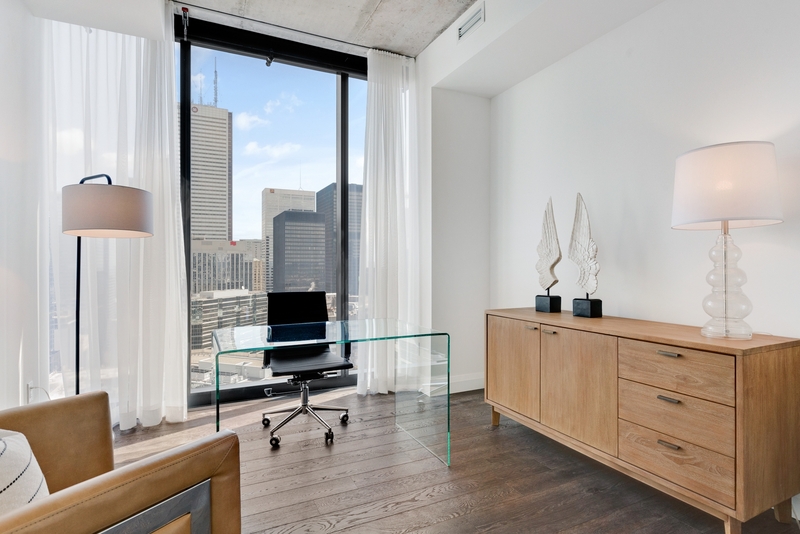 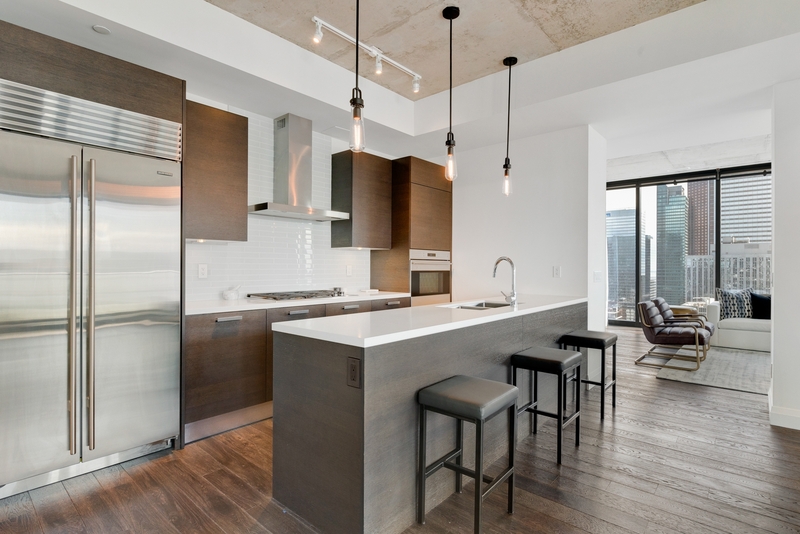 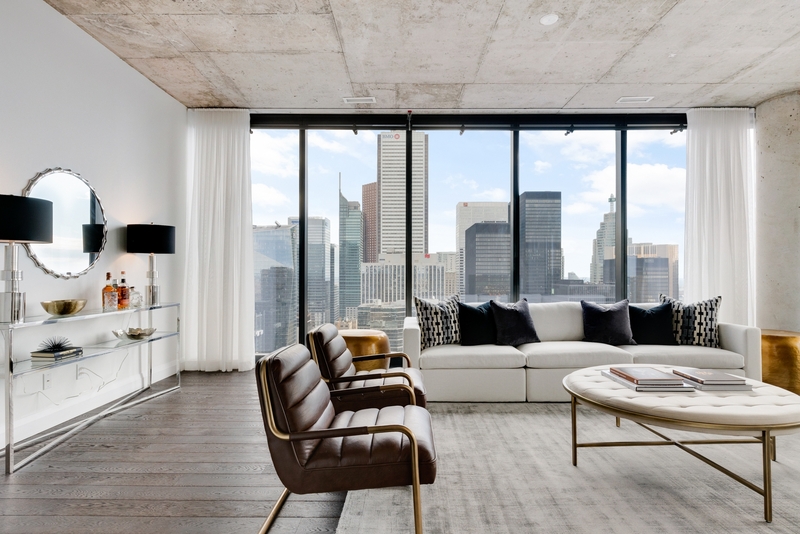 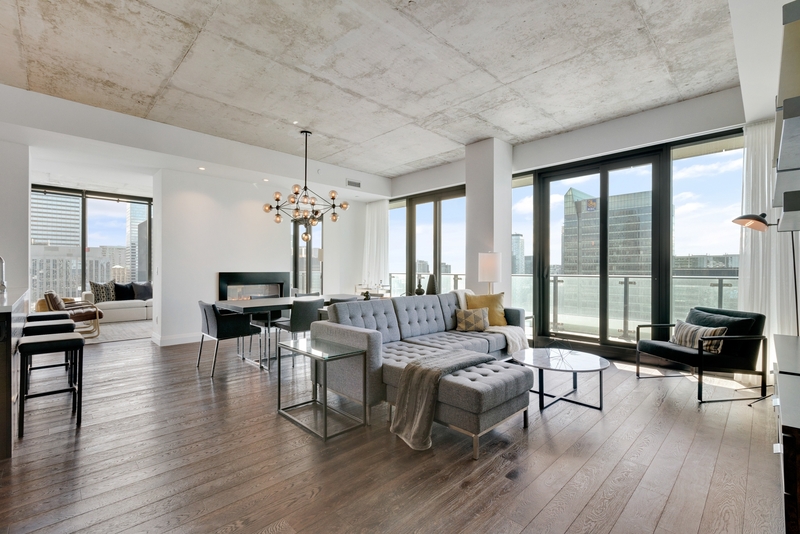 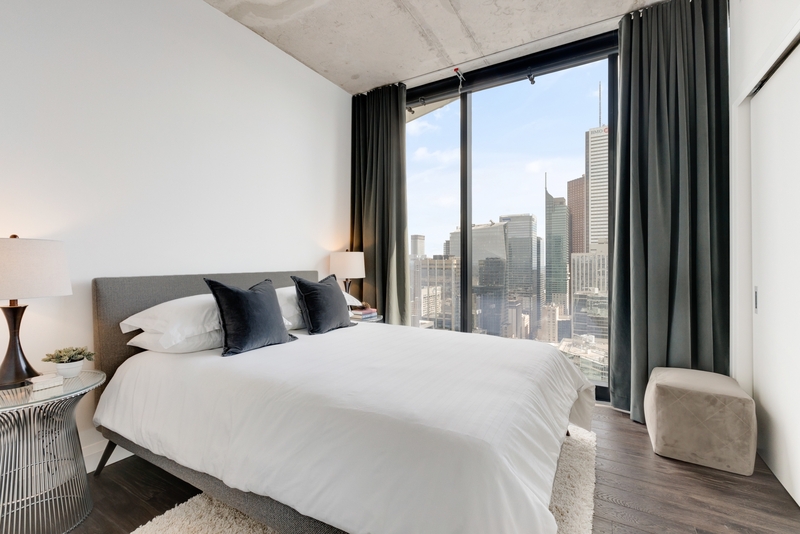 Spectacular south facing suite at Theatre Park in the heart of the Entertainment District. 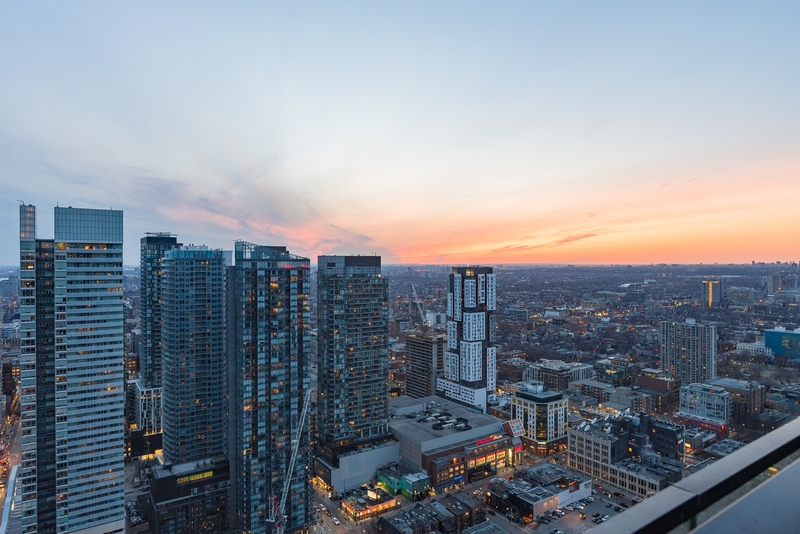 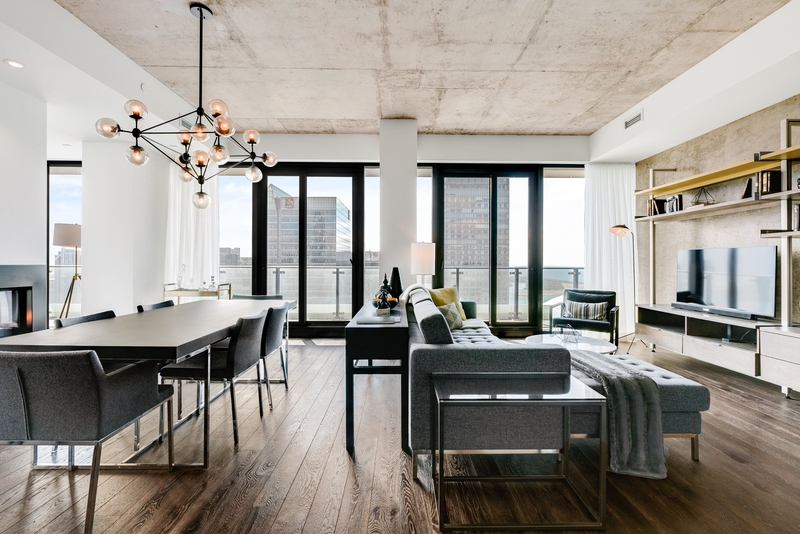 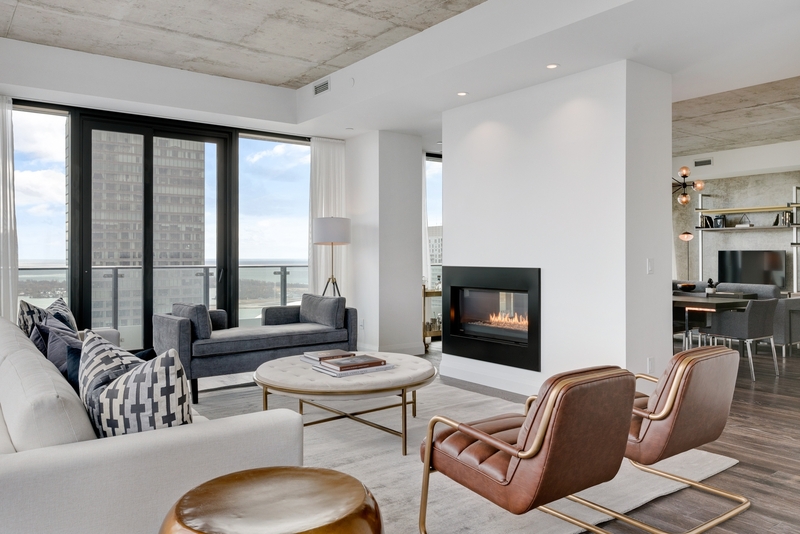 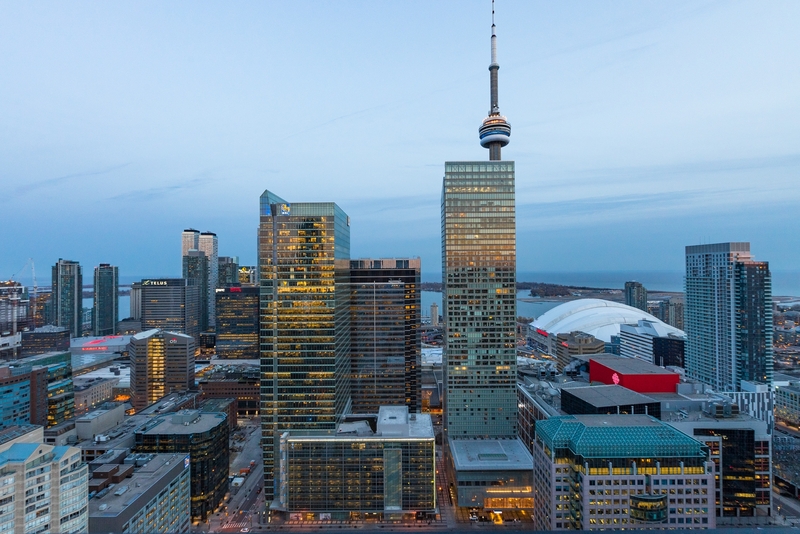 Occupying over half of the 43rd floor this spacious 2,480 square foot suite offers some of the most breathtaking unobstructed views in the city. 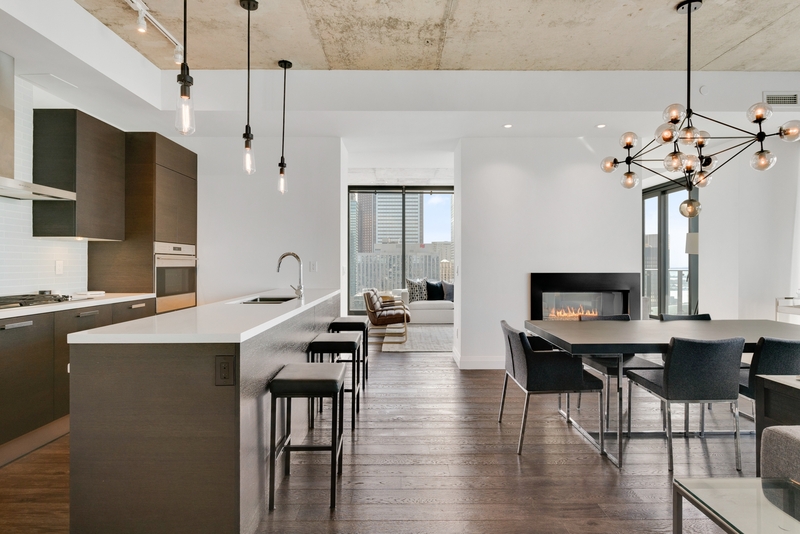 The layout has been ideally designed to provide a perfect space for living as well as entertaining and features an exceptional chef’s kitchen with top of the line Wolf and SubZero appliances. 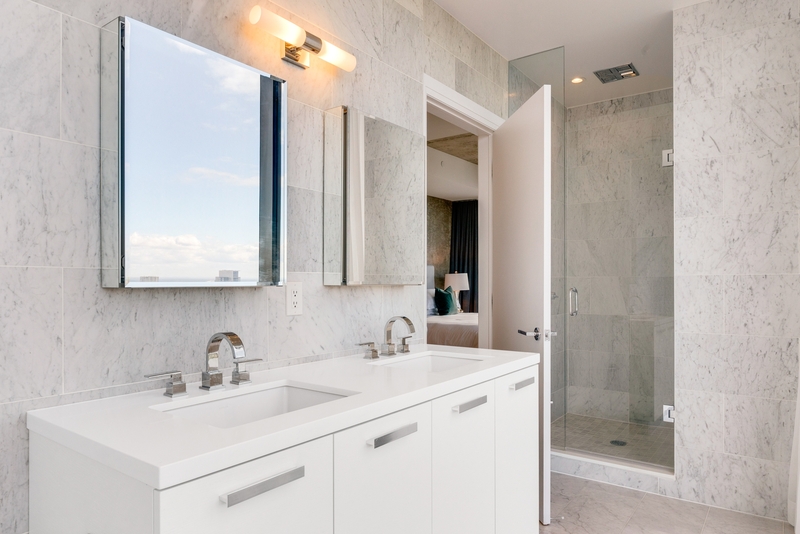 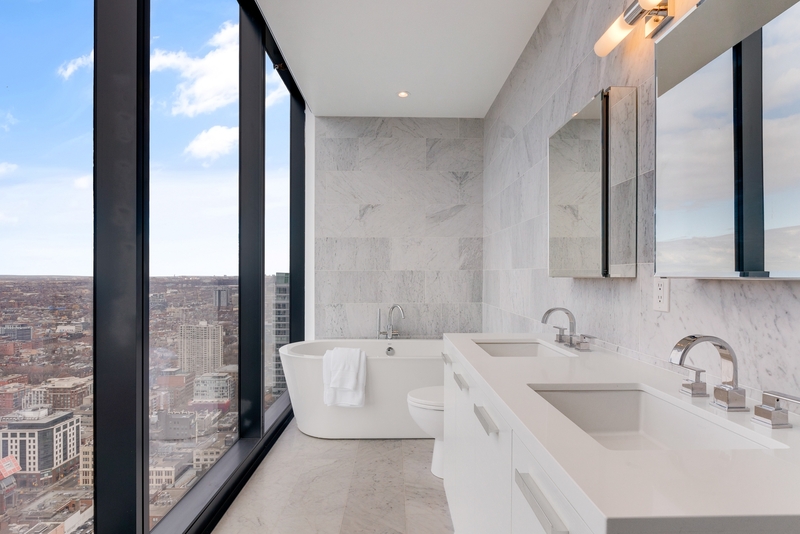 The Master suite takes full advantage of the spectacular south and west views and features a marble clad ensuite with an entire wall of windows offering the perfect birdeye view right from the bathtub. 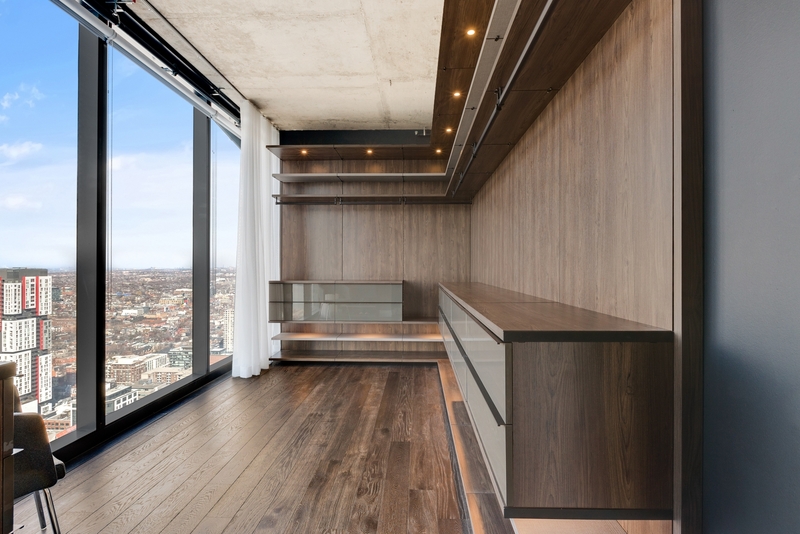 The master closet is its own room with 13-feet of floor-to-ceiling windows flooding the space with natural light and fit the highest quality California Closets built-in closet system. 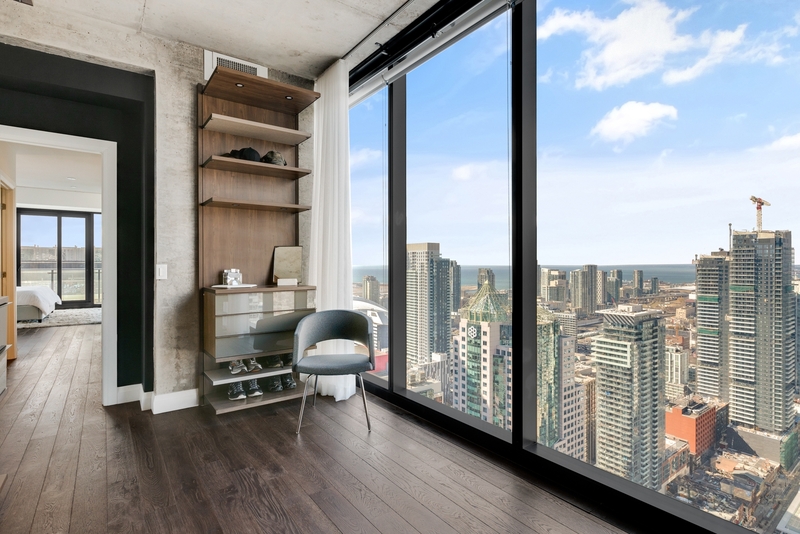 The east wing of the suite offers a spacious second bedroom with three-piece ensuite, an office that could easily be converted into a third bedroom, a three-piece guest washroom and a secondary entrance with additional storage area. 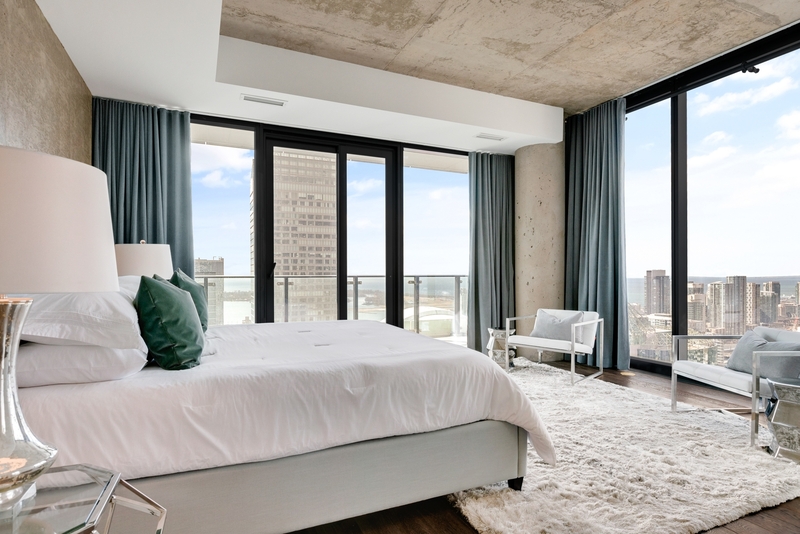 A 60-foot balcony runs along the entire south side of the suite and provides the ultimate views over the city and spectacular sunrises and sunsets. 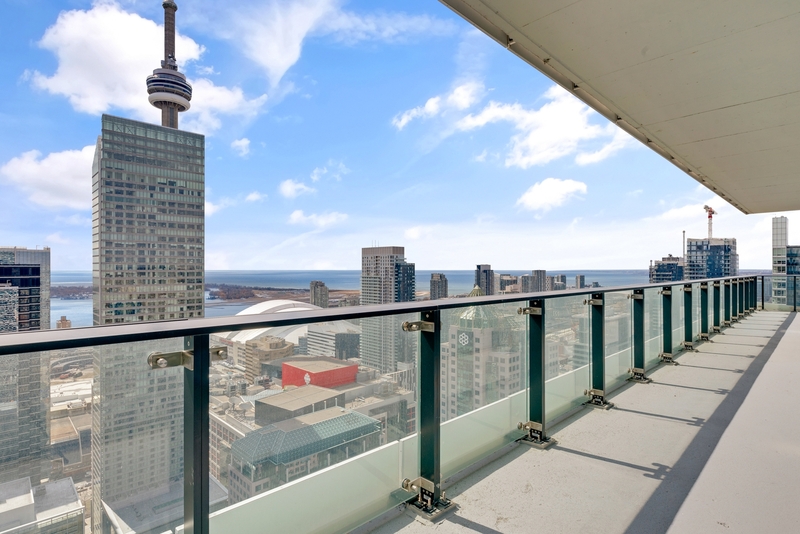 The balcony is fitted with a gas line allowing for the use of barbeques. 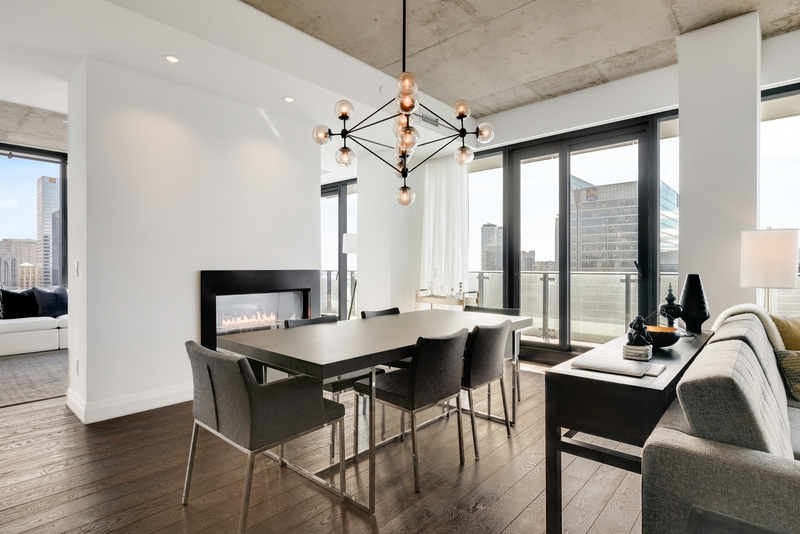 Situated at the epicentre of the Entertainment District, Theatre Park is next to The Royal Alexandra Theatre, across the street from Roy Thompson Hall and just a couple minutes walk from the Financial District. 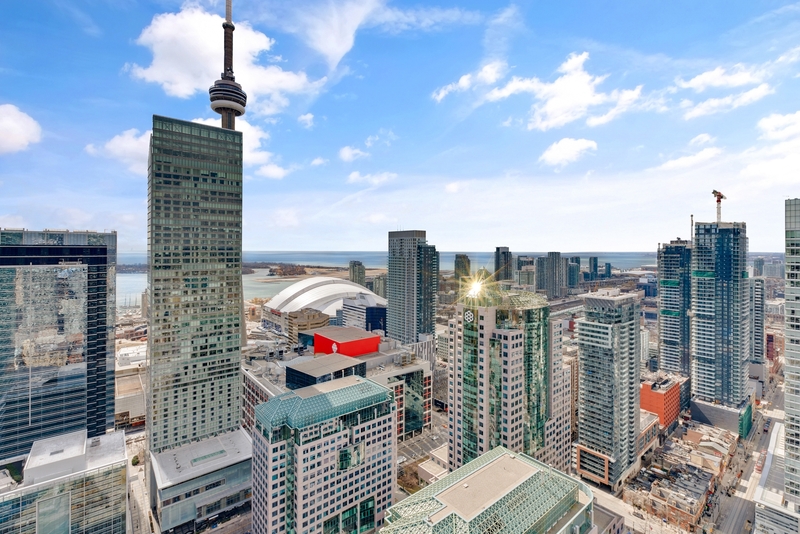 The location also offers convenient access to the PATH with an entrance across the street, the Streetcar on King Street and the Subway with access at St Andrew Station.